Ken Schwartz, M.D., will join James J. Murray, M.D., in November at St. Peter’s Primary Care, when the practice opens its new location at 377 Church Street in Saratoga Springs, New York. Board-certified in family medicine, Dr. Schwartz will practice primary care. His professional interests include migraine headaches. 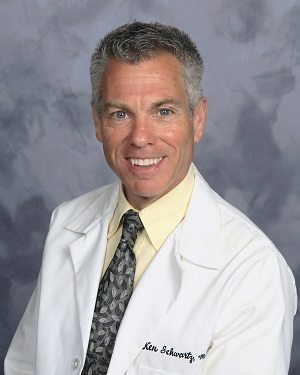 Schwartz has been practicing medicine in Saratoga County since 1989. Previously, he practiced family medicine with Saratoga Hospital. Dr. Schwartz received his medical degree from Autonomous University of Guadalajara in Zapopan, Mexico. He completed a residency in family medicine at the University of Southern California in Los Angeles. To schedule an appointment with Dr. Schwartz for November, please call 518-584-4456.